Get up to speed fast on key business valuation concepts with an extensive Guide. 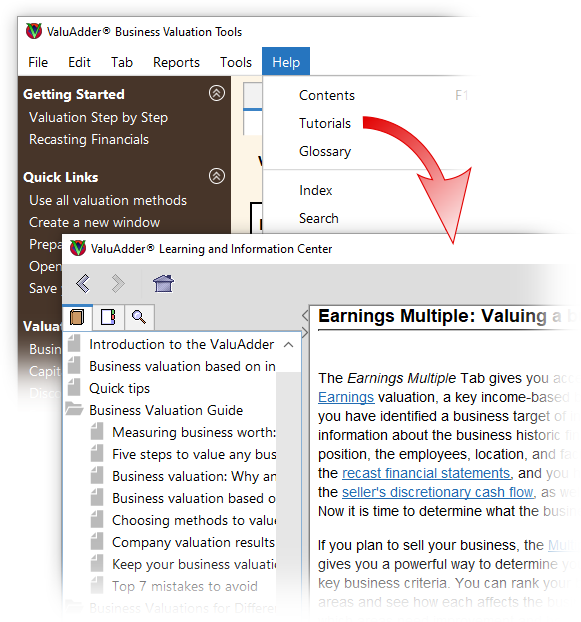 See how to use the valuation methods and tools effectively with helpful Tutorials. Learn business valuation lingo by referring to the extensive Glossary. Consult the How-To sections on any calculation as you do your business valuations. Find the answers you need quickly by using the powerful search engine and index.